What could you do (or do differently) in the months ahead? How will your money habits change in 2017? What decisions or behaviors might help your personal finances, your retirement prospects, or your net worth? Financially speaking, what New Year’s resolutions might you want to make for 2017 – and what can you do to stick by such resolutions as 2017 unfolds? Under 40? Set up automatic contributions to retirement & investment accounts. There are two excellent reasons for doing this. One, time is on your side – in fact, time may be the greatest ally you have when it comes to succeeding as a retirement saver and an investor. An early start means more years of compounding for your invested assets. It also gives you more time to recover from a market downturn – a 60-year-old may not have such a luxury, but a 35-year-old certainly does. Two, scheduling regular account contributions makes saving for retirement a given in your life – month after month, year after year. You can contribute without having to think about it, and without having to wait months or years to amass a lump sum. Those two factors can become barriers for people who fail to automate their retirement saving and investing. How do you keep New Year’sresolutions from faltering? Often, New Year’s resolutions fail because there is only an end in mind – a clear goal, but no concrete steps toward realizing it. Mapping out the incremental steps can make the goal seem more achievable. So, can visualizing the goal – something as simple as a written or calendared daily or weekly reminder may reinforce your commitment to it. Two New York University psychology professors, Gabriele Oettingen and Peter Gollwitzer, have developed what they call the “WOOP” strategy for achievement. Its four steps: pinpoint a challenging objective that can be met; think about the best result that could come from trying to reach the goal; identify any obstacles in your way; and distinguish the “if-then” positive steps you could take that would help you realize it. 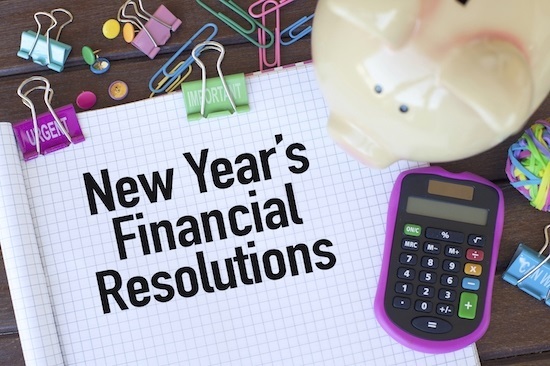 Financial new year’s resolutions tend to boil down to a common goal – the goal of paying yourself first. That means saving and investing money for your future rather than paying your creditors or buying expensive consumer items bound to depreciate. Think ahead – five, ten, or even twenty or thirty years ahead – and make this the year to plan to accomplish money goals, both big and small.